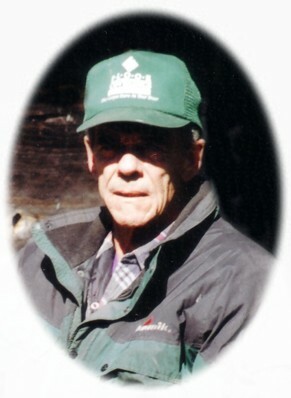 Richmond, Paul “John” entered into rest peacefully on Friday, May 10th, 2013 at the Ross Memorial Hospital, Lindsay at the age of 70. Beloved husband of Carol of Cameron. Loved father of Sherry of Cameron and Sandy (Steve Perdue) of Lindsay. Grampa of Kyle, Davin, Brandy and Ryan. Great Grampa of Lauren, Maddix and Grayson. Predeceased by brother Bud Richmond (Linda surviving). Survived by sister Patricia (Jack Perrin), brother Walter (Janice), brother-in-law of Robert Weightman (Shirley) of Springfield, Nova Scotia and Paul Weightman (Karen) of Sturgeon Point and numerous nieces and nephews. The family will receive friends at Parker Funeral Home and Cremation Centre, 19 Moose Road, Lindsay on Monday, May 13th from 3:00 pm until time of funeral service in the chapel at 4:00 pm. Reception to follow. If desired, in memoriam donations to the Lung Association would be appreciated by the family and can be arranged by Parker Funeral Home, 705-324-1988. Online condolences may be made at www.parkerfuneralhome.ca.